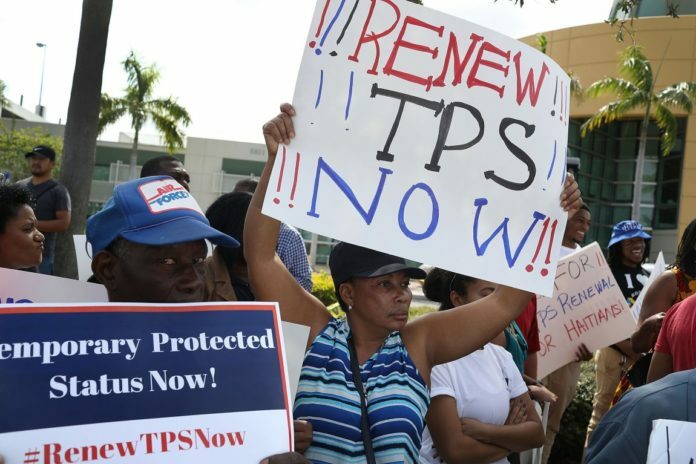 The Institute for Justice & Democracy in Haiti (IJDH), an advocacy group that supports equal treatment of Haitians in the United States, criticized the Nov. 20 decision of the Department of Homeland Security (DHS) terminating Temporary Protected Status (TPS) for Haitians. The decision was based on a finding that the “temporary conditions caused by the 2010 earthquake no longer exist.” Unconscionably, DHS refused to consider massive blows that struck Haiti after the earthquake that make it unsafe for Haitians to return home. The failure to consider more recent crises is a departure from decades of precedent, including the May 24, 2017 DHS justification for extending Haiti’s TPS designation for six months. TPS is a humanitarian law that does not contemplate this cruel result, which will be challenged. TPS was granted to Haiti for 18 months following the January 2010 earthquake. The status allows Haitians in the United States to stay in the country and work while their homeland recovers. It applies to 50,000 Haitians, who have an estimated 27,000 American citizen children. The status has been periodically extended because the country has not yet recovered from the earthquake and has been struck by subsequent crises, including the worst cholera epidemic of modern times and the country’s worst hurricane in 50 years. “The Administration made a political decision earlier this year to remove Haitians from the U.S.,” said Brian Concannon Jr., IJDH’s Executive Director. “Ever since, it has been trying to contort the facts and law to fit that political decision.” A leaked Apr. 27, 2017 DHS email instructed field offices to “squeeze more data” of crime and public benefits use in the broader Haitian-American community, in order to make a public case against TPS. But these factors are not legally relevant, because TPS holders are ineligible for public benefits and criminal activity disqualifies one from TPS. Previous articleAwousa dechèpiye Leta Ayisyen!